Oppo is in full-on teasing mode for the F11 Pro. The Chinese company today has confirmed the much rumored elevating selfie camera the phone will employ. Unlike in other devices such as vivo’s NEX S, the F11 Pro’s snapper will be centered, if the previously leaked promo images are correct. On the back there’s a dual cam setup and a fingerprint sensor, as well as a horizontally oriented Oppo logo and the ever prevalent needless “Designed by Oppo” message, which now gets a more central location. 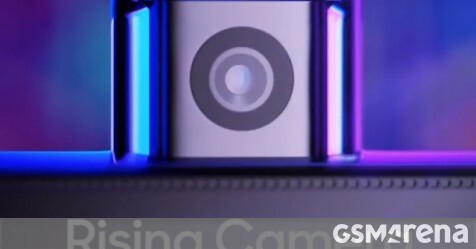 The unit shown in the second promo below has a gradient paint job that goes from blue to violet. The main rear shooter is expected to be a 48 MP unit, either the Samsung GM1 or the Sony IMX586. The Oppo F11 Pro is definitely coming soon, but the company hasn’t yet revealed exactly when the announcement is scheduled. Is the Rule of Thirds Really a Photography Rule? We’re throwing a New Year party and you’re invited! Geek Trivia: On Star Trek, The Ship’s Sliding Doors Were Operated By?